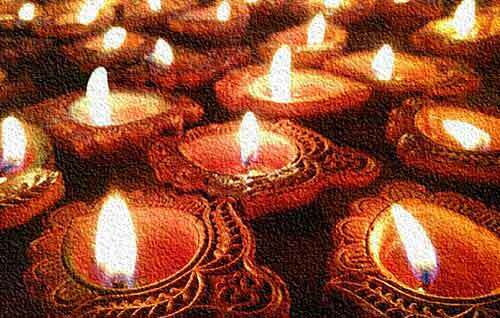 Diwali is the most popular festival associated with Hindu religion. Diwali 2019 date in Gujarat is October 27. For people in Gujarat, Diwali honors the Hindu Goddess of wealth, Lakshmi. The lights and lamps are said to help Lakshmi find her way into people's homes, bringing prosperity in the year to come. Diwali is celebrated by all Hindu communities but the reasons and legends differ from place to place and from community to community. It’s also a celebration of good triumphing over evil, and different legends based on this theme are associated with Diwali. In northern India, Hindus celebrate the return of the deities (gods) Rama and Sita to the city of Ayodhya, after defeating the evil king Ravana. Lakshmi Puja during Diwali is observed as it is believed that Goddess Lakshmi emerged from the ocean on this day during the ‘samudra manthan’ (churning of ocean) by demons and gods as mentioned in the Puranas. So for the business people, the new business year begins on Diwali. Diwali is a time to have fun with friends and family. People exchange gifts and sweets, enjoy delicious feasts, watch firework displays and wear new clothes. It’s a time to clean and decorate home, too.